Damask fabric with its woven pattern is often used for clothing throughout West Africa. Solid-colored and hand-dyed are the most common, but now there is a trend to produce printed designs on damask, also known as bazin or brocade. This blue fabric with pink stripes is printed on excellent quality cotton/polyester blend damask, 45 inches wide. 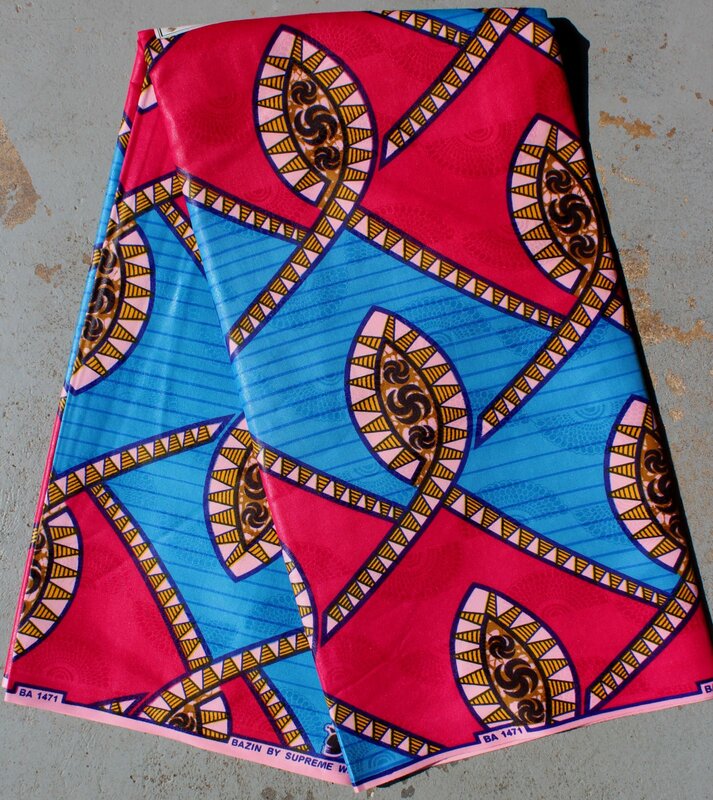 Used for stylish clothing in Africa, this fabric is also wonderful for crafts. Care: Cotton/Polyester blend. Machine or hand wash cold or warm with colored clothes. Do not bleach. Do not dry clean. Because of the way that African fabric is packaged (folded on the approximate yard + or - 3%) we cut along the fold. If you order more than one yard you will receive continuous yardage.